As video content grows in popularity, new ways to watch are popping up like daisies. When creating your videos for social media there are different platforms and different features for each platform, and all of that content is being consumed on different devices. Basically, there are a lot more ways now to get creative, but also more ways to get confused! In this post, we’ll go over specifications for popular formats as well as some tutorials for how to crop a video to fit those specs. There are more ways to share videos as a business—like Carousel or Collections—when you use Facebook Ads. Check out Facebook’s guide for more information on these formats. See also: Facebook’s very handy Video Requirements Chart. For more info on Twitter’s guidelines, check out their detailed guide. There are several tools for cropping videos and prepping them for social media. The general idea in any desktop video editor is to create a project and change the project settings to the desired size. Let’s look at a few options and how to use them. Right-click your sequence in the Project Panel and choose Sequence Settings. Select Custom for the Editing Mode and set the Frame Size. For the pixel aspect ratio, choose Square Pixels. 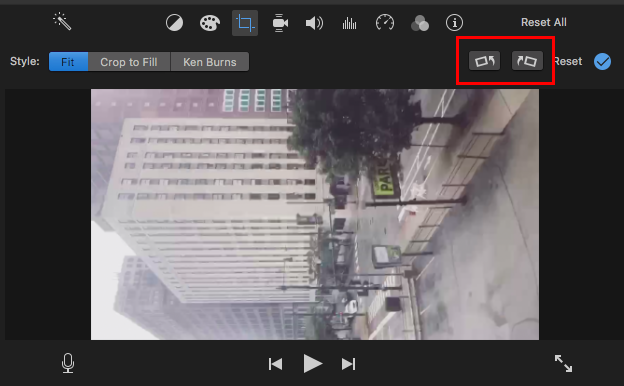 To crop your video to fit the new dimensions, open the Effect Controls (Window > Effect Controls), select your clip, and use the Scale and Position tools under the Motion tab to find a perfect crop. Watch the video all the way through to ensure the framing still works with any subject and camera movement. Explore our more in-depth tutorial on cropping for vertical video in Premiere. After Effects is another pro-level tool that will have all the settings you need for any video specs. If you are incorporating motion graphics anyway, AE can take your project from start to finish. To create a square video in AE, you’ll need to edit the composition settings. You can edit the settings for an existing comp by right-clicking on it, or by setting the width and height upon creation. Check out this post for more on editing After Effects templates for social media. 2) If you need to crop a video, you can still create in iMovie, just remember to leave space for cropping, and then use Keynote. Because iMovie isn’t going to let you create a project with a custom aspect ratio, Keynote on a Mac can be a perfect (and free!) companion to get your video cropped. Create your video with edits, titles, and music in iMovie, then pop it into a Keynote doc for the final crop. In your Document Settings, choose Custom Slide Size to create any size slide. Resize your video to fit, and then export the project to a Movie. PC users can edit slide size in PowerPoint as well. Filmora is a really good paid alternative to iMovie. It has similar features like titles, transitions, and multi-track editing, but it allows you to create projects in different aspect ratios. It is limited, however, to 16:9, 9:16, Square, and 4:3. For most social media needs this will do the job. Take it for a spin with a free trial, and if it works for you and you’re making videos on the reg, Filmora might be worth the $60 one-time price tag. Kapwing is a web app that boasts a quick and easy way to crop a single video to the perfect dimensions for social media. Kapwing charges $6 to remove the watermark from a single video. You can also upgrade to an unlimited plan for $20 / month, and then create unlimited videos. We’ve covered the specs and tutorials you need to learn how to crop video for any of your project needs. There are a lot of tools and options out there to fit any budget; it’s just a matter of finding what works for you and your needs and getting in a groove. It’s an exciting time for video content, and there are more ways than ever to get creative and have fun with video.